Matthew M. Holub concentrates his practice on resolving intellectual property disputes, including complex patent litigation involving the Hatch-Waxman Act and Abbreviated New Drug Applications. Matt also applies his strong foundation in the pharmaceutical industry to various complex litigation matters, including both antitrust and contractual claims. Matt is well versed in all stages of trial and appellate practice, and has extensive experience with pleadings, electronic discovery, motion practice, trial, appellate briefing and oral argument. His awareness that clients desire to quickly reach beneficial resolutions has made him an integral part of settlement teams that have successfully resolved multimillion-dollar litigations. Prior to practicing law, Matt worked for several years in the pharmaceutical industry, concentrating on brand identity and regulatory compliance of promotional activity. He leverages this experience to focus on his clients' business objectives in complex pharmaceutical litigation, often working closely with leading industry experts. Matt's enthusiasm extends to all of his clients. 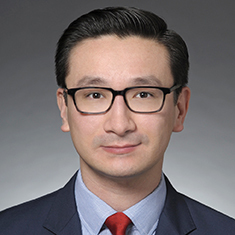 His strong belief in client advocacy is shown through his pro bono work, which focuses on immigration law and includes several victories in which Matt successfully secured asylum for refugees fleeing persecution in their homelands.